The Destination will be an extended session intended for those who wish to see a change of government in 2017 to one with a more progressive social democratic policy agenda and ethos. The 2015 seminar, to be held in Auckland on April 18 and Wellington on May 10, will pose the critical questions that need to be addressed and answered if the outcome of a change of government is to be realised. Further sessions are planned for 2016 and 2017. On Sunday March 3th, the journey continues and you are invited onboard. Previously on our voyage, our our speakers used the analogy of New Zealand as the Titanic to share how they viewed the state of the New Zealand economy; headed towards disaster, but with the distinct advantage of time and knowledge to prepare for impact or avoid the economic and social icebergs altogether. They shared their wisdom built up through years of collecting data, distilling information and acquiring knowledge with the audiences of hundreds at the Q Theatre in Auckland and Downstage in Wellington, suggesting changes that could take place to steer the course of the ship through the path of least resistance. On the 3rd of March 2013 we are bringing the seminar to Christchurch. Our previous speakers, Rick Boven, Bernard Hickey, John Walley and Selwyn Pellett will be joined by Bronwyn Hayward, Senior Lecturer at University of Canterbury. 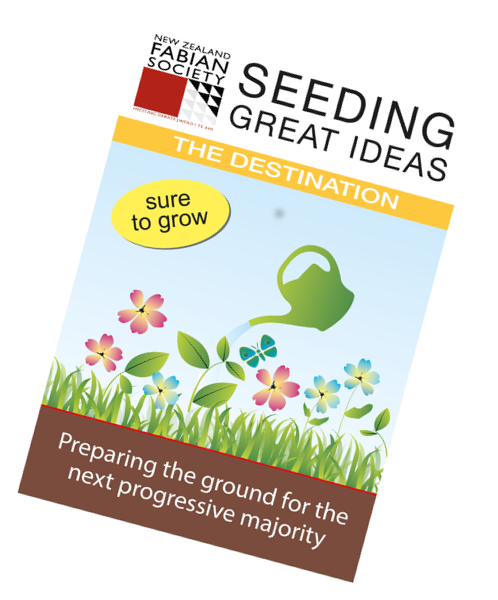 They will evolve the message from one grounded in illustrating the extent of the damage to one grounded in presenting ideas and solutions for better, fairer and more opportune future for this country. 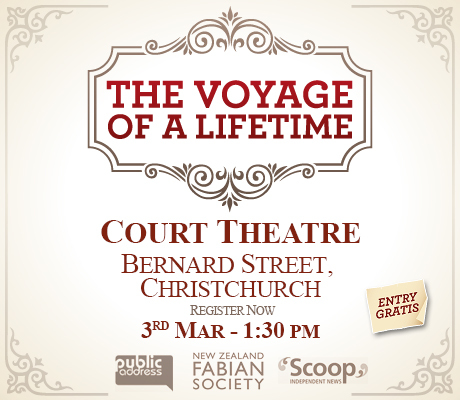 Join us at the Court Theatre on Sunday March the 3rd. Doors open at 1.00pm for a 1.30pm sharp start. The wonderful Michele A'Court is going to push the boat out and set us off on our voyage and media commentator David Slack will steer the ship. You are invited to join the speakers afterward for refreshments and discussion. Dr David Tripe from Massey University School of Banking Studies and Dr Bill Rosenberg of the NZCTU spoke on this topic on Monday 7th November in Wellington. David explained the role of the rating agencies in relation to corporate and sovereign debt, showed that New Zealand's risk profile lay more with private debt owed through the banks than with government debt, warned against the risks underlying the persistent current account deficit, and concluded that while further downgrades were possible the main risk lay in a sudden drop in ratings which was dependent on the banks' own ratings. A copy of his presentation can be found here. Bill Rosenberg looked at the philosophy underlying the criteria used by the agencies in evaluating sovereign debt, showing that they looked not only at the levels of debt but also made a political assessment of governments' willingness to pay, in other words their willingness to place debt repayment above other political and social policies. His conclusion was that the development of good social and economic policy should downgrade the significance of the role played by the agencies. Bill's presentation can be found here and a detailed paper here. What should be our Economic Priorities?